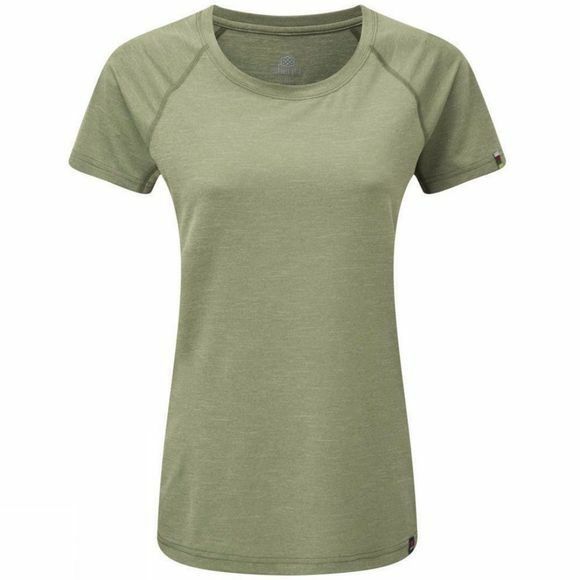 The Womens Rinchen Short Sleeve Tee from Sherpa is your best friend in high heat situations. It’s breathable, featuring a soft fabric with a permanent wicking finish which transports moisture from the inside out. And it's stink free because it incorporates Polygiene technology, which uses natural silver salt to fight odor. It’s slimmer fitting and bulk free so it won't flap in the breeze and can be layered easily. A UPF rating of 40 keeps the sun off. Center back length: 25 3/4"